This is a healthier awesome muffin I found on the Once Upon A Chef website. 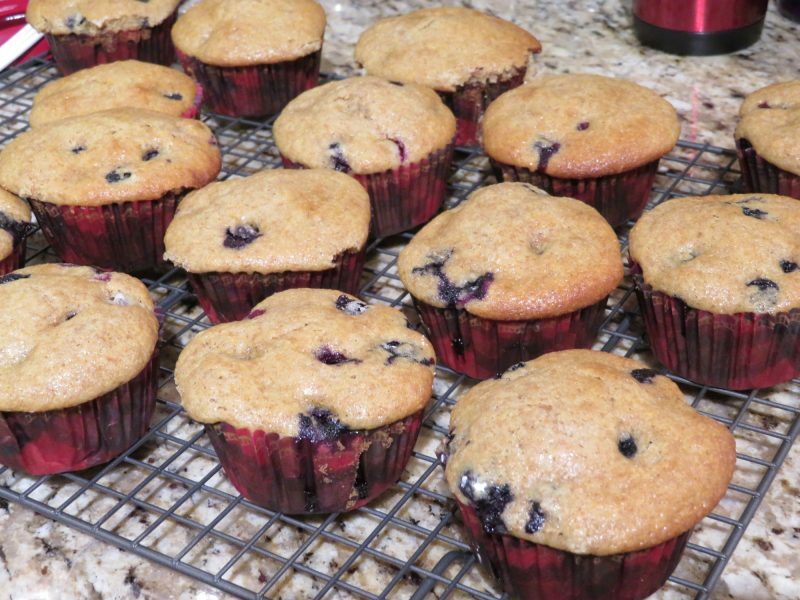 Here’s the original (non IC safe) link: OUAC: Blueberry Maple Bran Muffins. I had to omit the cinnamon as it’s a common bladder flare. This recipe is just perfect. 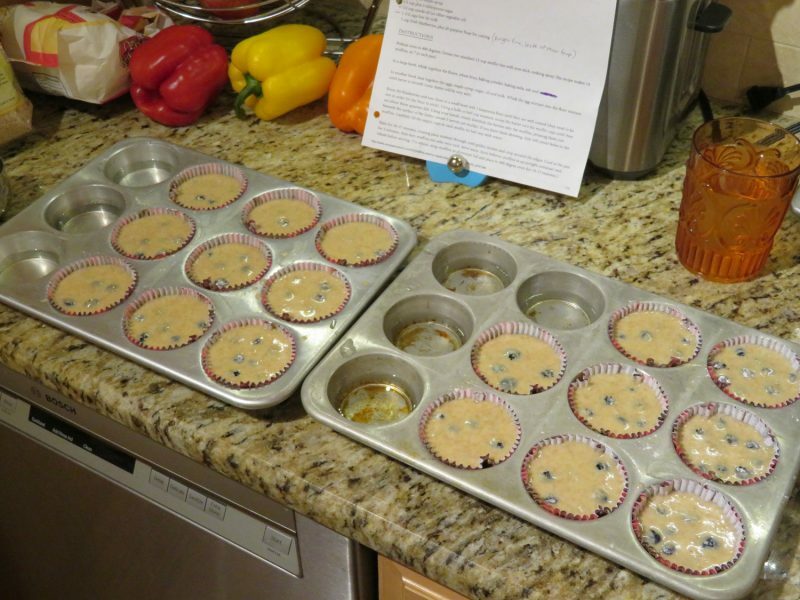 It has whole wheat flour, wheat germ/bran, adds pure maple syrup as a sweetener, and has fresh blueberries. Also, it’s still tasty! It made about 16-17 muffins for me, not the stated 14. A+! You can control the “heathfullness” of the recipe. In total it requires 2 cups of flour. #1 — If you want this recipe very healthy, follow the recipe: 1 1/4 cup all purpose + 3/4 cup whole wheat flour. #2 — If you want it moderately healthy, I would do 1 1/2 cups all purpose + 1/2 cup whole wheat flour. #3 — If you want it just a little healthy and more typical tasting, I would do 1 3/4 cups all purpose flour + 1/4 cup whole wheat flour. If you are unsure, I would try the mid-range method of #2. Remember: never substitute fake sweetener in your baked goods – for many, including me – it’s a horrible I.C. flare ingredient! I’d be out of commission two days if I had fake sweetener in any amount. **Please make sure you can tolerate blueberries first, they are on the safe list, but it really depends on the person. Preheat oven to 400 degrees. Grease two standard 12-cup muffin tins with non-stick cooking spray (the recipe makes 14 muffins, so 7 in each pan). In a large bowl, whisk together the flours, wheat bran, baking powder, baking soda, salt and cinnamon. In another bowl, beat together the eggs, maple syrup, sugar, oil and milk. 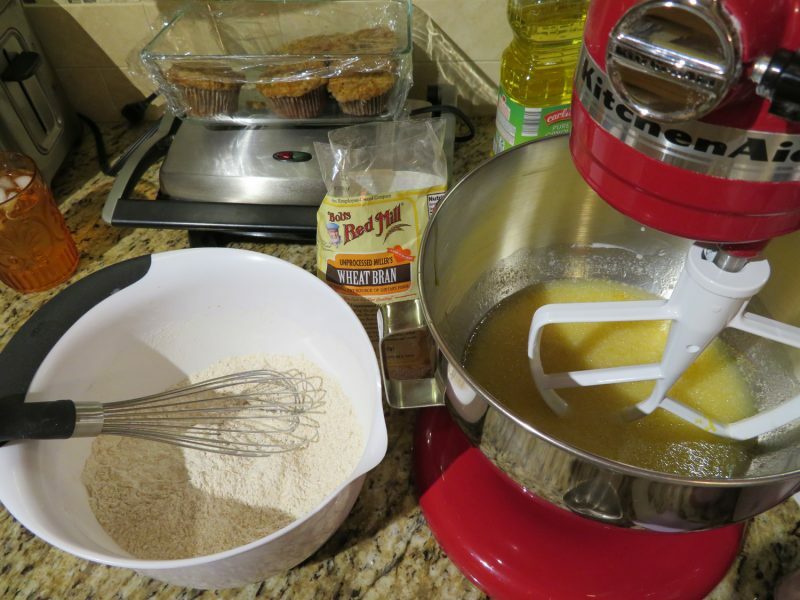 Whisk the egg mixture into the flour mixture until batter is smooth (note: batter will be very wet). 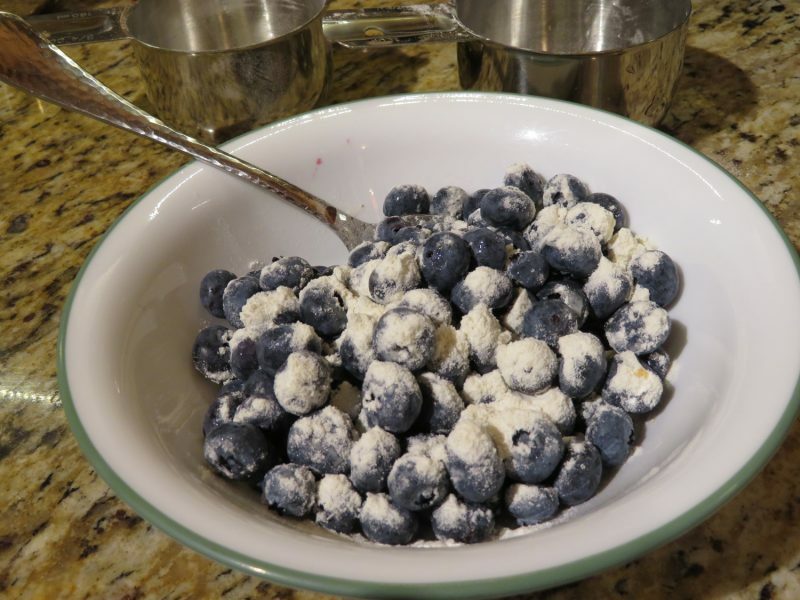 Rinse the blueberries and toss them in a small bowl with 2 teaspoons flour until they are well-coated (they need to be wet in order for the flour to stick). 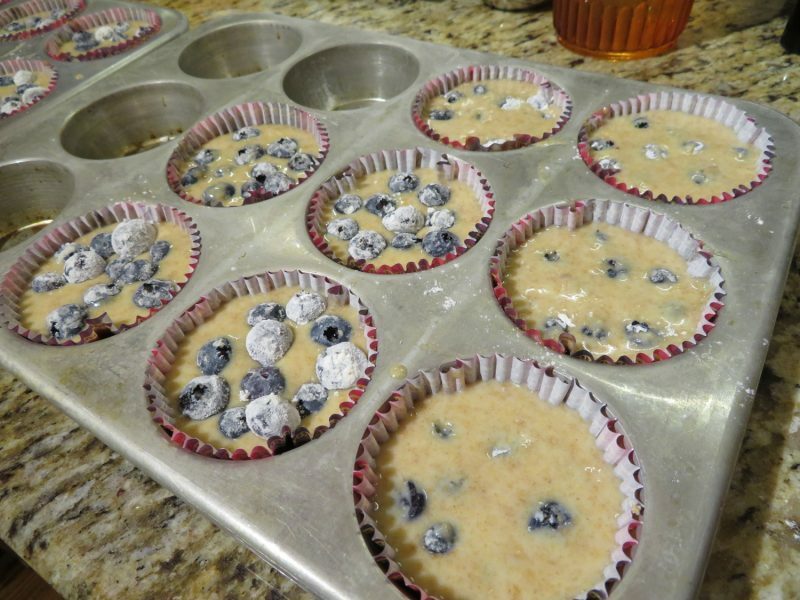 Using a ladle or half-cup measure, scoop the batter into the muffin cups until they are about three-quarters full. Using your hands, evenly distribute the berries into the muffins, pressing them just beneath the surface of the batter (about 5 berries per muffin). If you leave them showing, they will create holes in the muffins. Carefully fill the empty cups in each muffin tin half-way with water. This entry was posted in Desserts, I.C. Bladder Safe.